Luis Suarez has been one of the most talked about players in this transfer window so far, with the famous £40,000,001 bid from Arsenal causing endless rumours and talk regarding the players future. Suarez was made to train alone last week by Brendan Rodgers after he accused Rodgers of going back on his promise to sell the striker this summer. Suarez seemed to be trying to force his way out of Liverpool following two bids from Arsenal but Liverpool remained adamant that Suarez was not for sale. Suarez was away on international duty this week with Uruguay and following his return to Liverpool he was allowed to be involved in first team training again following talks with manager Rodgers. It is believed Suarez has apologised to Rodgers as it was said he would only be allowed to train with the first team again if he apologised. Suarez is said to have spoken to a newspaper in his home country and reportedly told them that he would now be staying at Liverpool. 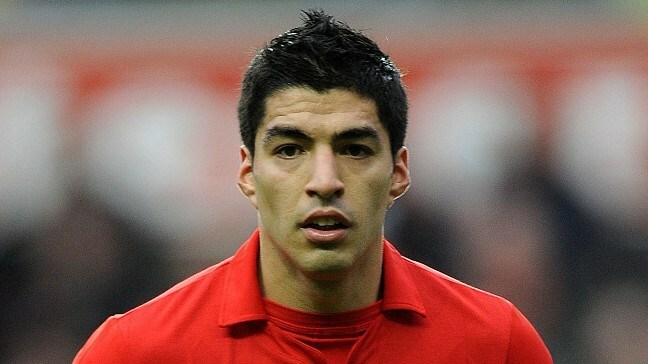 The same newspaper reported that he may sign a new contract for Liverpool, but reports are yet to be confirmed and it is understood Suarez has not yet told Liverpool he wishes to stay. Suarez is however banned for the first 6 league games of the season after being given a 10-match ban in April for biting Chelsea’s Branislav Ivanovic.